Being a mother to 3 young children is a tough enough task in itself. Add in recently filing for divorce and moving out, on your own, with those 3 children and now it seems life is crumbling around me. 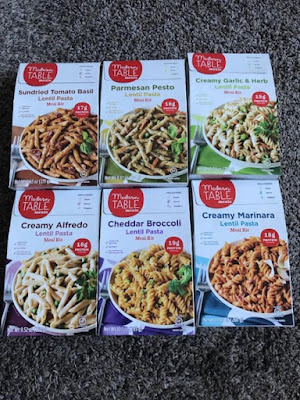 But I don't have to worry about dinners for the time being thanks to Modern Table for sending us some pasta to try out. We had the chance to try 1 box of each variety they have. They offer Lentil Pasta as well as meal kits and Mac N Cheese's as well! One meal kit we tried out was the Parmesan Pesto. For a vegetarian meal this is wonderful in itself, and we made it this way for lunch. But you can always add in some meat to make it even more filling. I recommend Sausage or Chicken with this one. Even though it already has 18g of protein per serving!!! 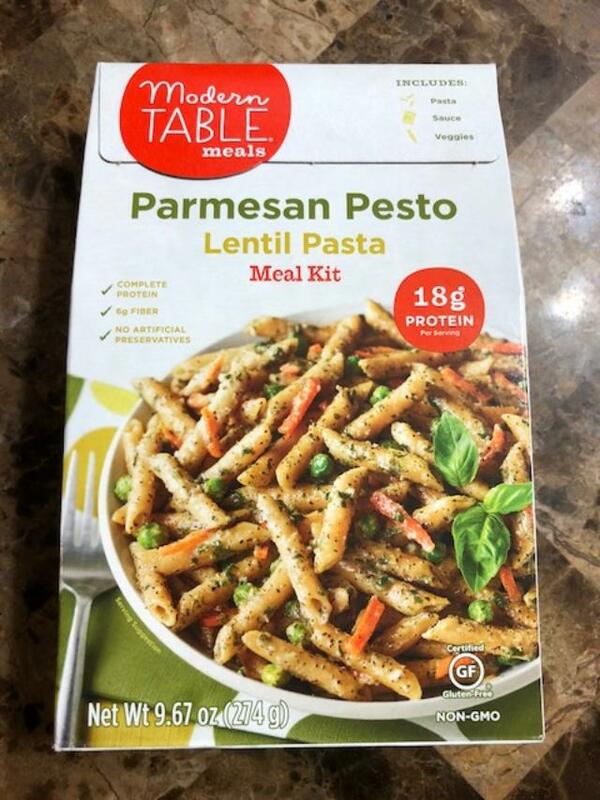 We also tried out the Creamy Garlic & Herb meal kit, same as above, add chicken or tuna to make it more filling. But it's wonderful on its own as well. The regular pasta has 20g of protein per serving and these are great for making your own meals with them. 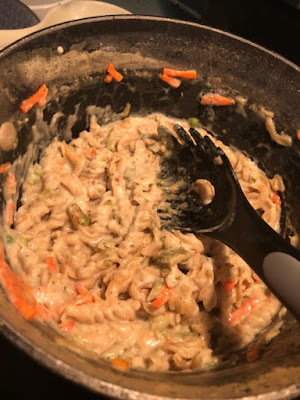 All of the pastas we tried are absolutely amazing and I love that they are protein packed because my boys don't care for meat much. So this is a wonderful way to get them a protein packed meal in. All of Modern Table products are made from the highest quality ingredients. All pasta are made with lentils which is what makes them so protein packed. Regular wheat doesn't have much nutritional benefit, but lentils are chock full of them! Each box is about 3 servings, I made 2 boxes to feed my family of 4 with a bit left over. It was perfect and we each got to tr each flavor in a smaller serving size. The meals and Mac N Cheese's are so delicious and creamy. These have quickly become a favorite of ours and I will continue to buy these and very highly recommend them. 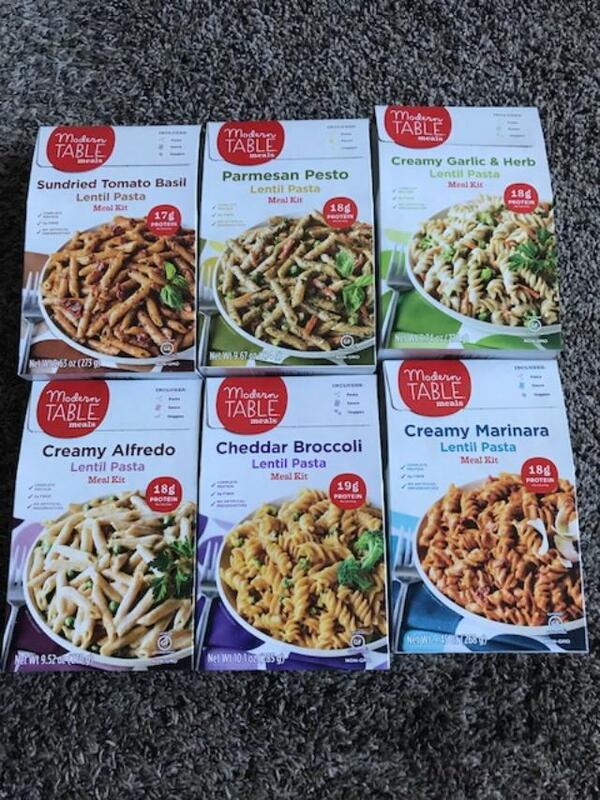 Price: A 2 pack box of the meals is $5.49 on their website. $3.69 for 2 of the regular pastas. I'd like to try the pesto - pesto is one of my favorite flavors. Would love to try the three cheese mac and cheese but everything looks amazing!!! I would love to try the cheddar broccoli. One of my favorite flavors. I want to try the Jalapeno Cheddar Mac & Cheese. I would like to try the Sundried Tomato Basil Meal Kit. 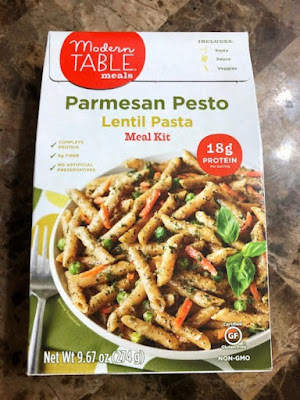 I want to try the Creamy Alfredo LENTIL PASTA MEAL KIT first! I would like to try their Cheddar Broccoli Lentil Pasta. Looks good and sounds healthy! I want to try the Creamy Garlic & Herb Lentil Pasta Meal Kit first. 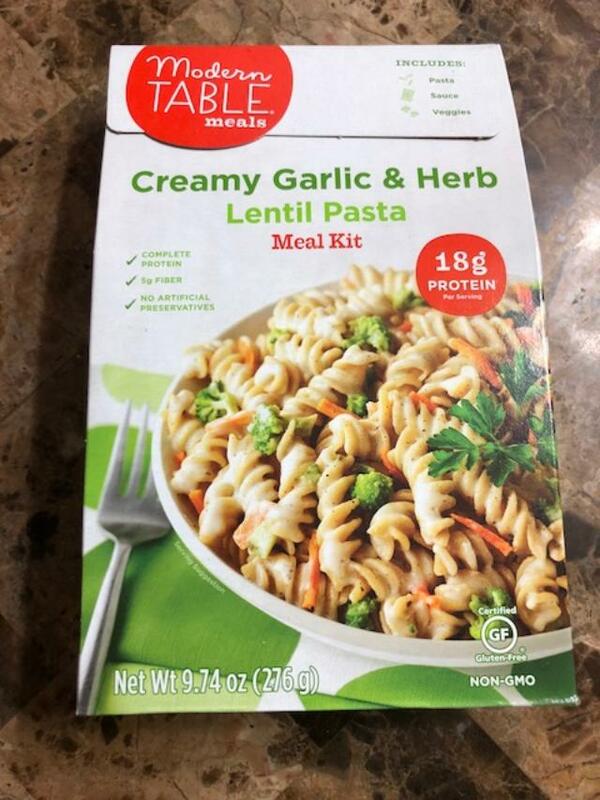 I would love to try the Creamy Garlic & Herb Meal Kit first. Would love to try the Creamy Marinara. I would like to t y the C eamy Alf edo fi st.
As you can see one of my lette s is not wo king. The Sundried Tomato Pesto Dinner Kit sounds really good! 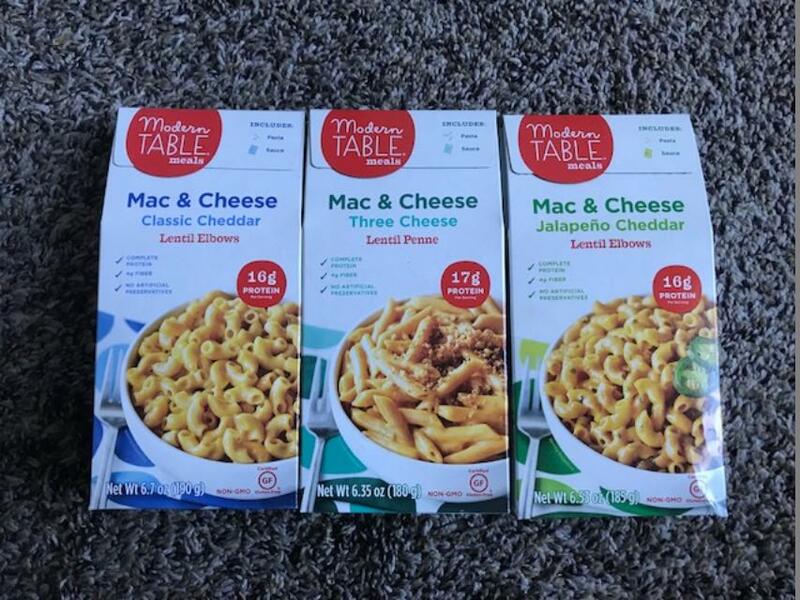 I want to try the three cheese mac and cheese! I want to try the Cheddar Broccoli Lentil Pasta. 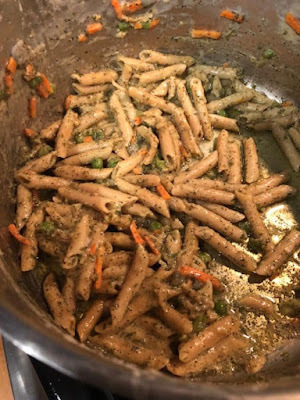 I would like to try the Cheddar Broccoli LENTIL PASTA MEAL KIT. I'd like to try the creamy alfredo first. I would love to try the Lentil products like the rotini first from Modern Table Meals. 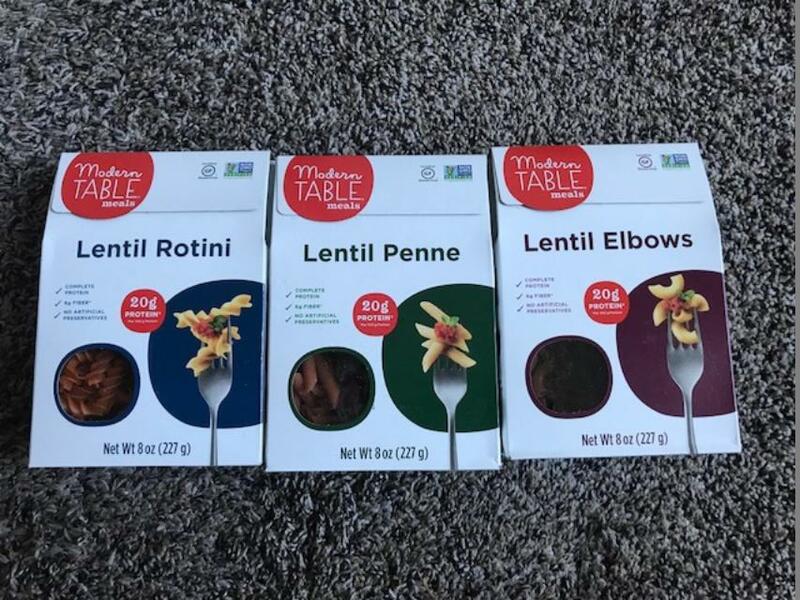 I would like to try their Cheddar Broccoli Lentil Pasta Meal Kit first. 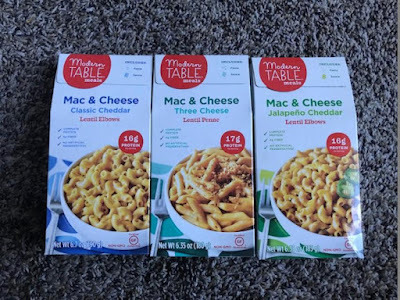 There is no "try for my first time" here; my kids and I love Modern Table! We purchase them at Target. Their Sundried Tomato Basil is our favorite Meal Kit.